The iSmart technology optimizes the current power specifically for the device that is being charged, removing the risk of short-circuiting in case of a voltage drop. The device is quite bulky. This battery from RAVPower can charge up to three devices simultaneously and can be juiced up fairly quickly. The housing of the device is made of scratch-resistant matte plastic and will stay looking sharp even if you carry it in your bag without a travel pouch. A high-capacity choice for techies. Two Anker-exclusive technologies - PowerIQ and VoltageBoost - allow for lightning-fast charging, using the 2.4A and 3A USB ports. The housing tends to get hot during use. 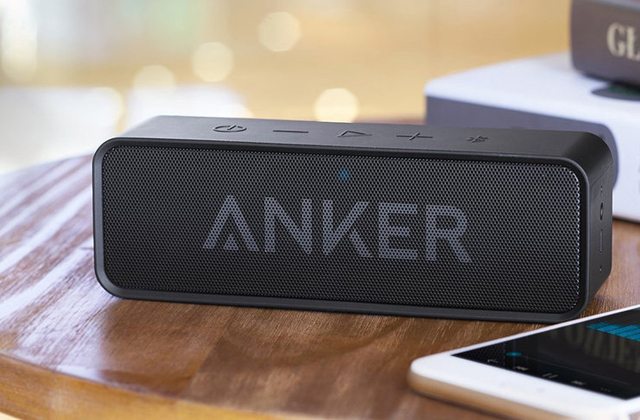 Anker PowerCore 20100 is a powerful and compact battery with a smooth and elegant housing made of a premium-class aluminium alloy. On top of that, it can charge up to two mobile devices simultaneously, while a groundbreaking MultiProtect safety system will save your gadget from electrical surges. 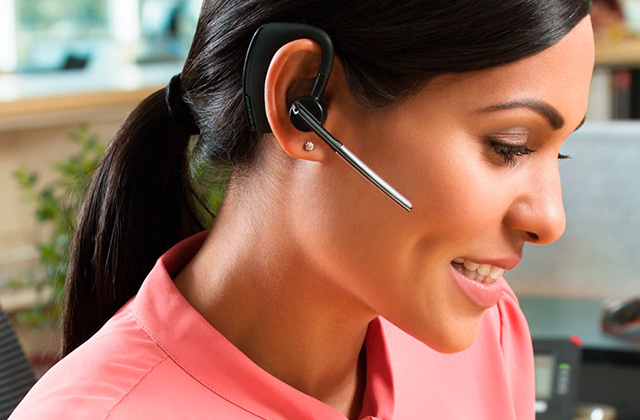 A reliable choice ruling the high-end product lineup. 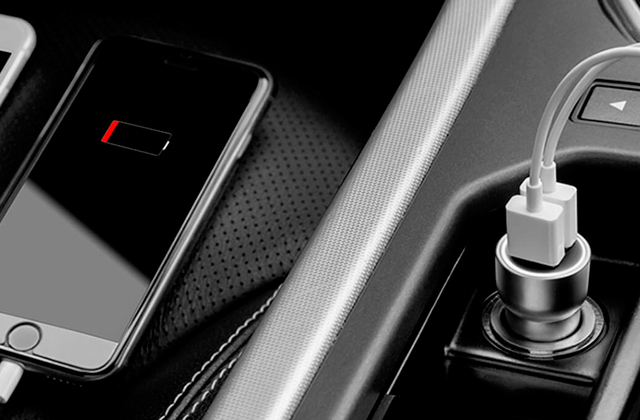 Auto Detect technology identifies a connected device and ensures its fastest charging. Scratches can be visible on the bright aluminium housing of the device. Being one of the smallest models, the power bank allows charging two devices at a time. Not every single power bank charger can boast such a feature! 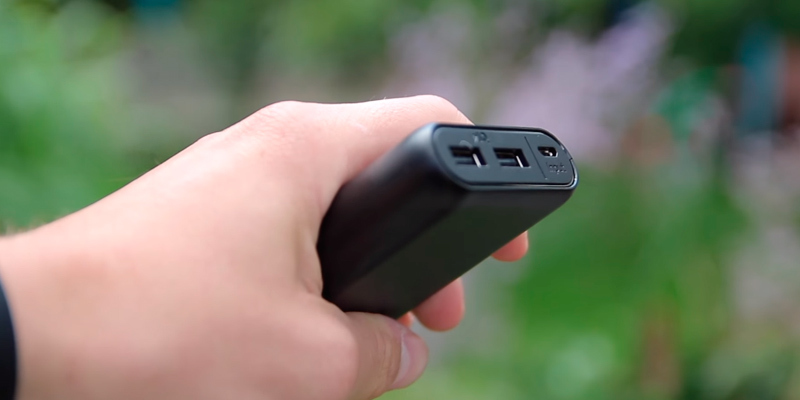 PowerIQ provides much faster charging for any connected device. A maximum compactness and ergonomics will let you easily carry the power bank in a pocket. Just perfect when you’re on the road. The gadget features a built-in flashlight working in different modes: SOS mode, highlight mode, average light mode. Specified charging time is achieved only by using original cables. The model boasts 5 types of protection that ensure safe usage of the power bank. Juice up your phone's battery with ease! Nowadays, almost every single piece of electronic equipment that doesn’t have an AC cable requires charging from time to time. And while hoping that you'll end up close to a power socket is an option, we recommend you take an energy bank with you instead. 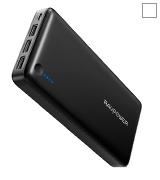 The PB41(B) from RAVPower can fit that purpose quite well, owing to its ultra-capacious Li-ion battery. However, though it maxes out at 26800 mAh, it does also take a substantial amount of time to fully charge, so you will have to bear this in mind if you're planning a trip or running late and don't have much time to juice the power bank back up. A full cycle of charging takes around 6 hours, which is quite impressive for a device with battery capacity this high. We should also mention that this model features not one or two but three iSmart USB 2.0 ports that are made exclusively for RAVPower devices. These ports will firmly protect any connected devices from power surges, short circuits, surge voltage, and currents, as well as from strong electromagnetic fields that can jam the wireless capabilities of the electronics. Since the cable adapters that lead to the main electrical grid tend to overheat, the ports are also heat-resistant, yet another feature to safeguard your gadgets. What's more, these ports offer unprecedented charging speed thanks to the current output of 5.5A. That way the bank can either charge up to 3 gadgets at the same time or charge one device two times faster than your average power bank. As with many other similar gadgets, the RAVPower PB41(B) has a power button on the side of the housing and four LED power indicators that will conveniently show the current power level of the Li-ion battery. 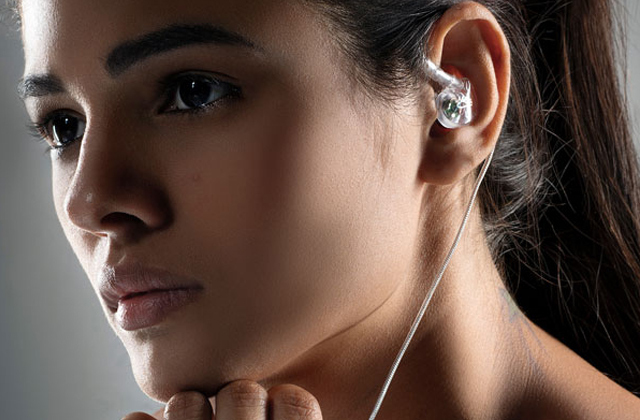 Check them out to make sure your battery has enough juice to sustain your gadgets for a day. Tech specs aside, by purchasing this model you will get 2 micro USB cables for charging your favourite gadgets anywhere, anytime, and a carry pouch that will come in handy during long trips. The carry pouch is made of mesh and might not be that useful against direct damage, however, it will be more than enough to protect the power bank from minor hits and scratches. 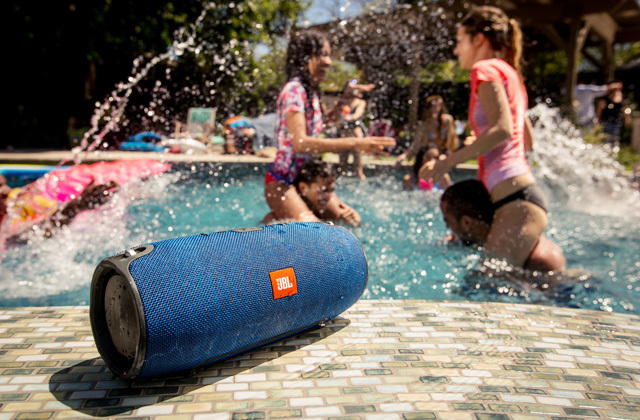 And even if you lose it or forget it at home, the matte plastic housing is made specifically to be scratch-resistant. 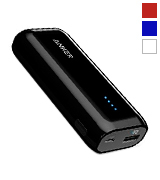 If you don't like the deep black colour of the standard model, this power bank is also available in white. To wrap things up, the RAVPower PB41(B) is a bit bulky but the quality and speed of charging more than make up for this small fault. 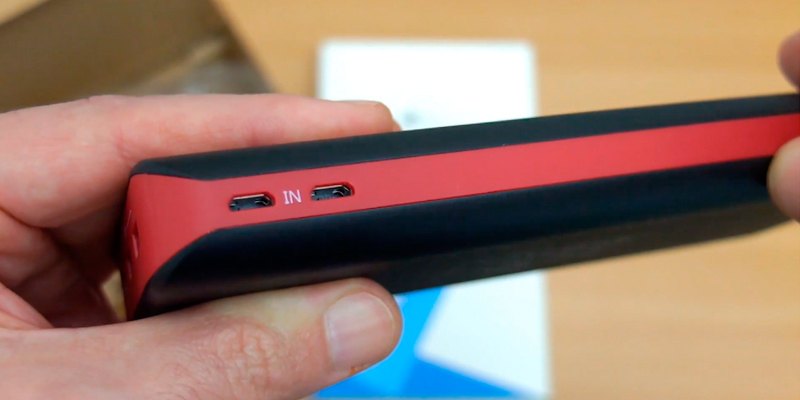 It is perhaps one of the most capacious power banks with a 26800 mAh battery capacity that you will be able to find on the market today, and this fact alone makes it a great pick for those that own more than 2 mobile devices. It's always upsetting to leave your charger at home or forget to charge your mobile gadget at all. Fortunately, with the Anker PowerCore at your disposal, you will forget that these issues ever existed. Sturdy, reliable, and capacious are perhaps the best words that you can use to describe this particular model. 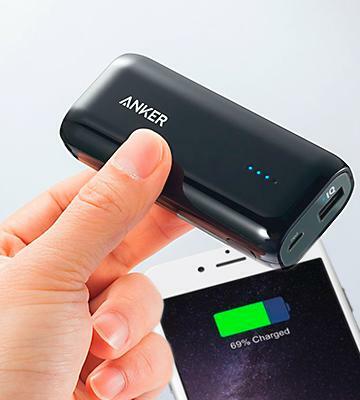 To be more specific, the Anker PowerCore features a battery with a 20100 mAh capacity that will be enough to charge your smartphone several times and even fully charge a laptop once. In order to keep the battery in good shape and to prolong its service life, the manufacturer recommends depleting the device's battery and fully charging it afterwards every 4 months. By doing this you won’t let the Li-ion cells inside the carrier disintegrate as fast as they normally would. 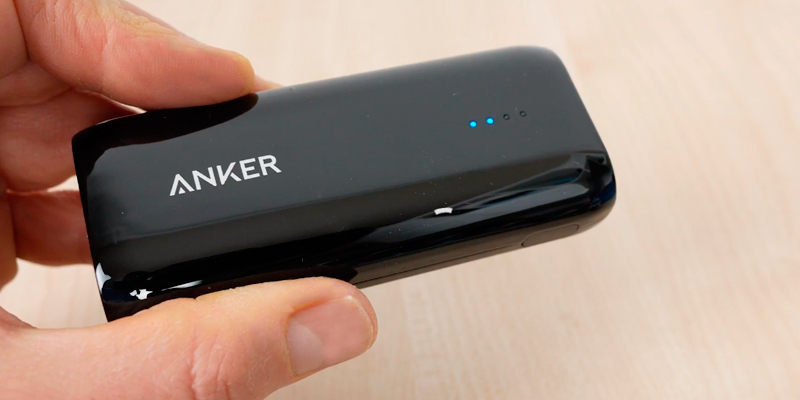 Thanks to an exclusive PowerIQ feature available only to Anker users, this model can charge your devices up to 40% faster than regular power banks. This is achieved via an 18W output power as well as the Intelligent Device-Detection that is able to identify the gadgets connected to the battery and adjust the output accordingly. The detection system also lets you set the charging speed depending on the battery of the device and currently supports Apple, Amazon Kindle, and Samsung mobile gadgets and products made by other major manufacturers. That being said, the device is well optimised even for the devices that are not currently supported. They won't, however, have the benefit of speed optimisation, leaving their charging a bit slower than we'd prefer. The major drawback of the device is the fact that it weighs almost 340 grams, which is a lot for a 20100 mAh model. 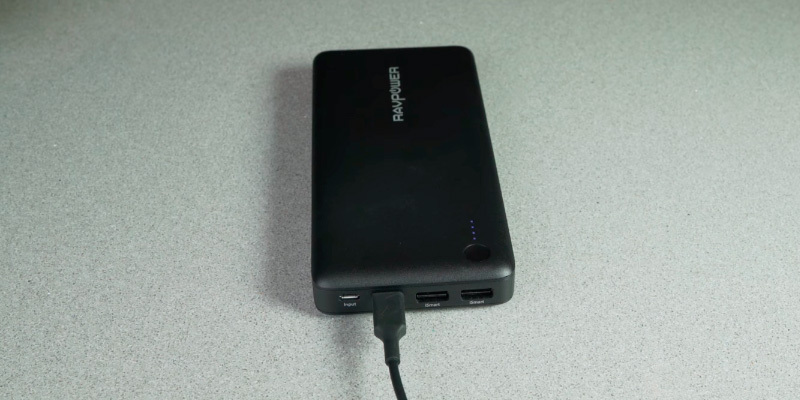 Other than that, the power bank is fairly small with the dimensions of 16.6 x 5.8 x 2.2 cm and can fit into almost any pocket, purse, or backpack. Moreover, the device comes equipped with a handy travel pouch. Although it is not sturdy enough to withstand hard hits or falls to the floor, its knitted pattern won’t let the device slip out of the pocket or your hand. On top of that, this model is supplied with a high-quality microUSB cable that will allow you to quickly charge the device from mains in just 7 hours. Be aware though, that you can’t charge the bank while it is already supplying power to other mobile gadgets since there is a risk of a sudden battery discharge and a voltage surge that will damage the carrier. 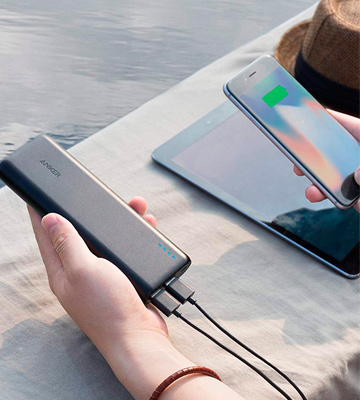 In conclusion, the PowerCore from Anker is a well-protected and capacious device that will not let you down, especially during long trips away from the electrical grids. Despite electronics gadgets have literally changed our lives, all of those devices are not independent of energy and require power to operate. Unfortunately, not always there is an opportunity to juice up your device, especially while on the road. However, there is always a chance to take a power bank with you! Let's take a peek at the Poweradd Pilot 2GS! 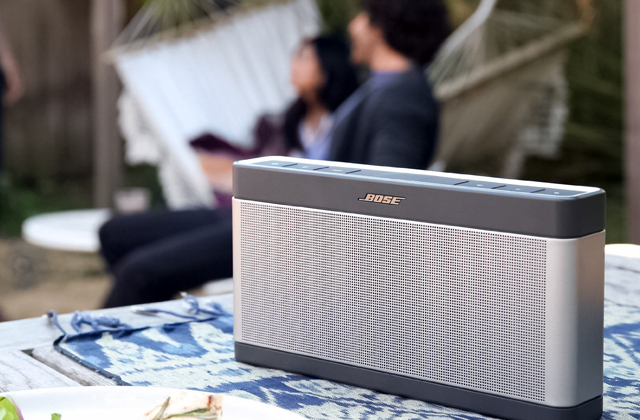 Its good potential is hidden beneath a durable aluminium body protecting the device from any kind of damage. 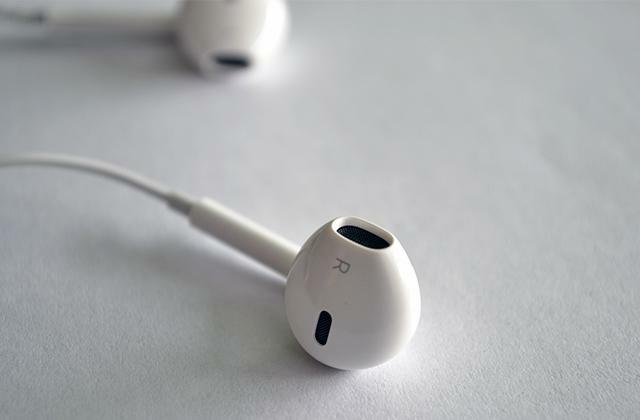 Small size and ergonomic shape contribute to ease of use and comfortable carrying even in a pocket. By the way, the gadget length is almost the same as the length of iPhone 6, while the thickness is a little bit more. In spite of such a portable size, the battery capacity is rather high - 10000 mAh. It's enough to charge, for example, Samsung Galaxy S6 completely two and a half times. Additionally, you can power up two electronic devices simultaneously since the charger has two USB ports. One of them supports the bigger current output so it's up to you to select the device lacking for a power more than another one. 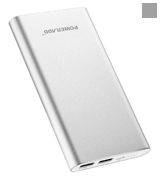 If you value ergonomic design, durability and price-quality ratio, this power bank is the right choice for you! Feel the power of the Poweradd Pilot 2GS! There are a lot of ways a smartphone could save your life, especially outdoors. For instance, if you get lost in the woods, you can take advantage of GPS to find the right direction to go and flashlight to illuminate your path. Likewise, a mobile phone offers the only way to contact the emergency services if you was injured or affected by some emergencies. In such cases, if the battery has died, things are bad. To secure yourself against such possible accidents, grab a power bank before going out! Getting energy from the sun? It's possible with a solar charger! Smartphone technologies are developing really fast and today devices require more and more energy to cope with all their functions. Large displays also drain batteries much faster and it makes us realise we do need additional power sources. 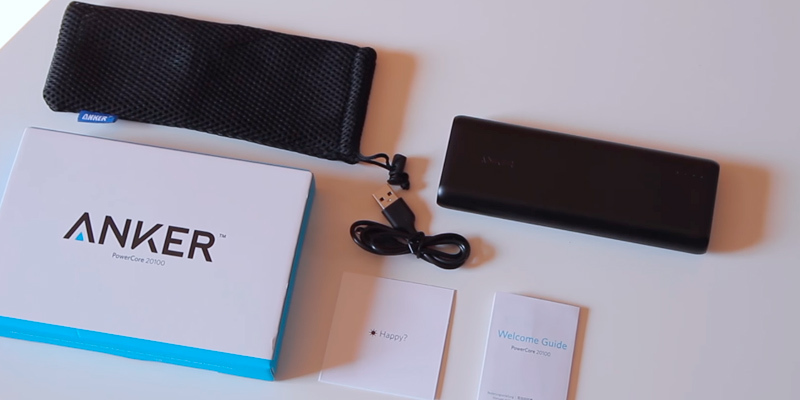 Anker Astro E1 is a small power bank which offers the total capacity of 5200 mAh. It's actually more than enough to charge your iPhone 6 twice or iPhone 5S two and a half times. Taking small size into account it's quite a decent result! How could you estimate the remaining battery power? There is nothing complicated about it — 4 LEDs will let you know this! Additionally, it's important to note that the battery shouldn't be completely discharged before you recharge it — it will require more time to replenish the battery capacity. The power bank case is made of high-quality plastiс, thus ensuring gadget lies well in the hand. Don't worry it can slip out! That's not to say that little size of the power bank badly influences its efficiency. 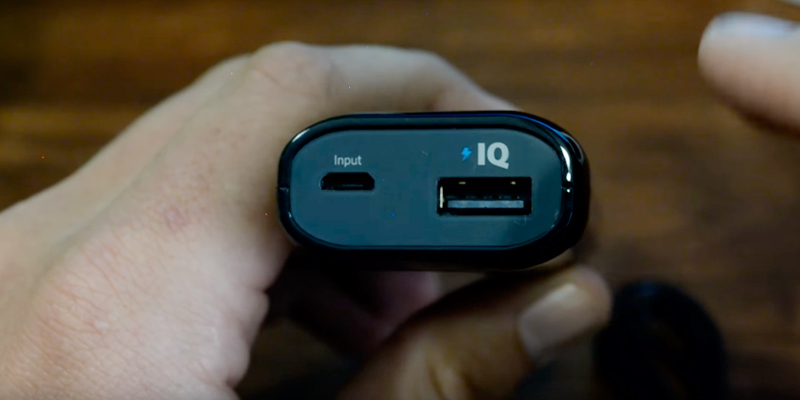 The model boasts PowerIQ - the smart technology that automatically detects the connected device and ensures its fastest charging. Get the quickest charge! We'd also like to give you a piece of advice - discharge the gadget completely before you'll plug it into an AC outlet for the first time. It'll guarantee the best performance and longer life! Are you going to use your camera to snap some superb selfies or magnificent landscapes? Then, you need an external hard drive to store all your photos securely! Each of us is passionate about something. For someone, activities such as cycling or camping are a part of his life. Others are literally crazy about fishing or hiking trips. Despite the beauty of nature and fresh air, all outdoor recreation enthusiasts certainly need a power source to charge their electronic devices like GPS, cell phone, tablet, whatever. The solution to this issue has been already found - it's a power bank! Now, let's look at EC Technology Power Bank! It's definitely one of the most efficient chargers on the market! 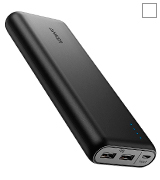 Its total capacity is 22400 mAh. Quite a lot! This power is enough, for example, to juice up your iPhone 10 ten times over! Just imagine, 10 times! 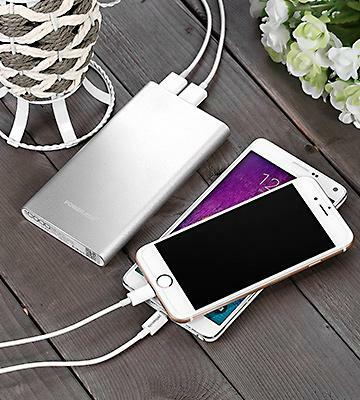 There is also no need to charge devices one by one as the portable charger features 3 USB ports. Each of ports provides its own amperage from 1A to 2.4A, so some gadgets will get energy faster! Just choose the device which requires power more than other ones! In the darkness, you'll also be able to benefit from the charger as it has a built-in flashlight. By the way, it can work in three different modes: SOS mode, highlight mode, average light mode. Just amazing! If you're looking for an HDMI cable, don't procrastinate and choose the best one! 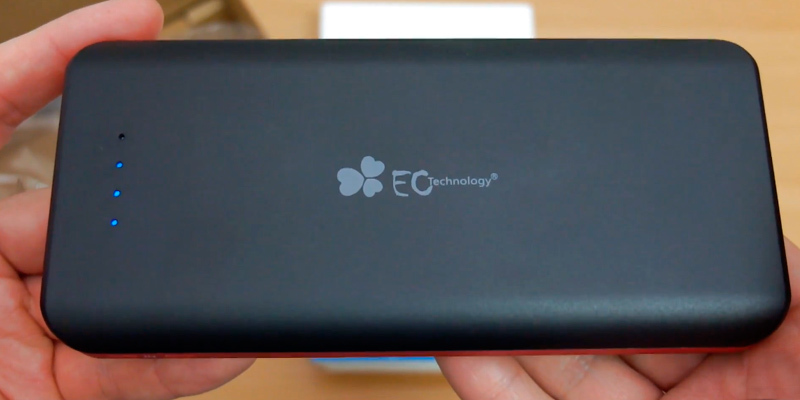 EC Technology 22400mAh High Capacity Power Bank! What Is a Power Bank? 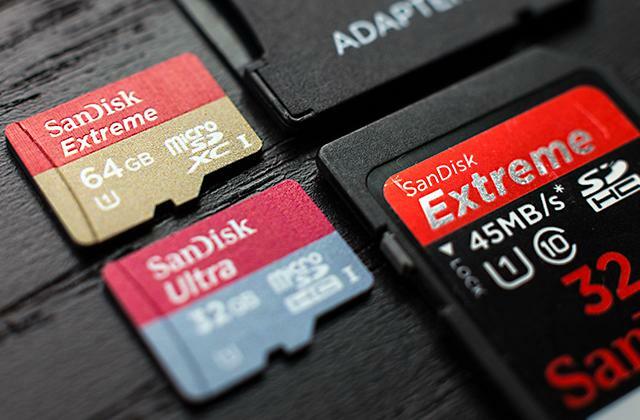 If you are a person who uses various electronic gadgets a lot, you probably noticed that built-in battery capacity is often not enough for work. So what to do? The best solution to this, in our opinion, is to buy an additional gadget called the Power Bank. 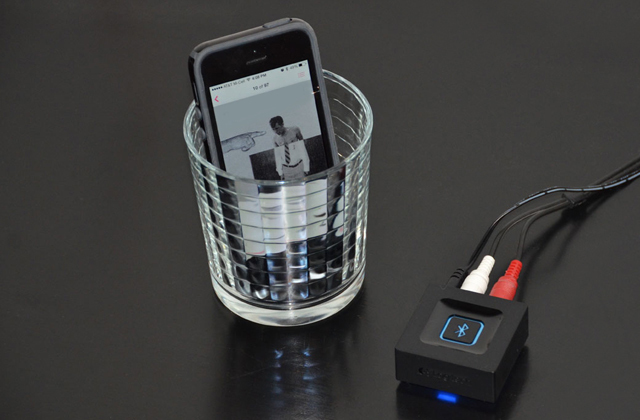 This device allows you to effectively charge your smartphone, tablet, or even laptop wherever you are. You do not need a socket anymore! 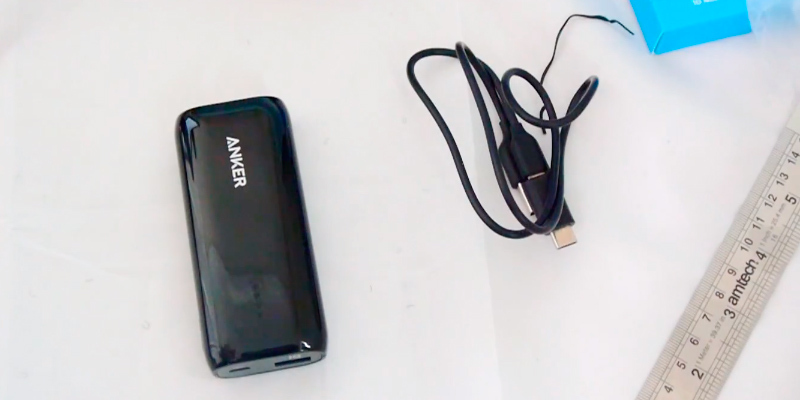 Power Bank consists of batteries, coupled in various enclosures, and it has enough power to charge one or more devices. There are USB or other kinds of ports, so you can plug in and start charging. We would like this review to help you choose a Power Bank which will be suitable for you and your gadget! You may also be interested in our review of the latest models of Android smartphones that have become immensely popular with users this year. 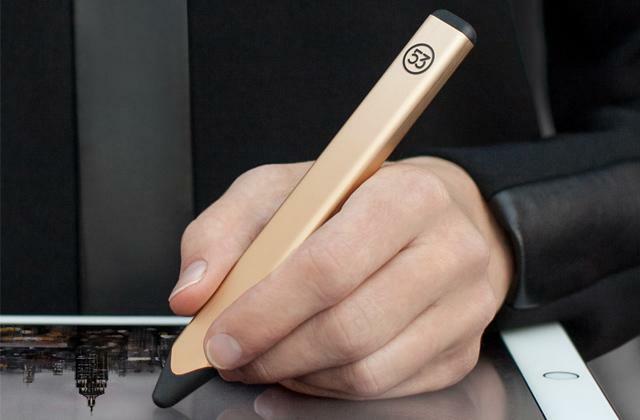 And if you've already got one, you're welcome to read about tablets. 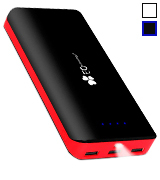 The first thing you need to think about when choosing a Power Bank is its Power and Capacity. They are measured in mAh and show the number of times your device can be charged. However, it is worth noting that the bigger the power bank capacity is, the heavier the device would be. The current mostly hints on the speed of charging and is measured in A (ampere). Usually, you will need 1A to charge a smartphone and 2A for a tablet. 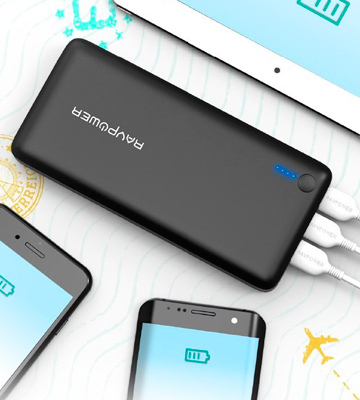 As for the capacity, to charge a smartphone, the power bank should have not less than 3000 mAh, but if your device is a tablet, you will need a capacity of 6000 mAh or more. Of course, if you have lots of devices and want to charge them all at the same time, you will need a much bigger capacity and more ports where you can plug in all your gadgets. Pay attention to Compatibility and Functionality. 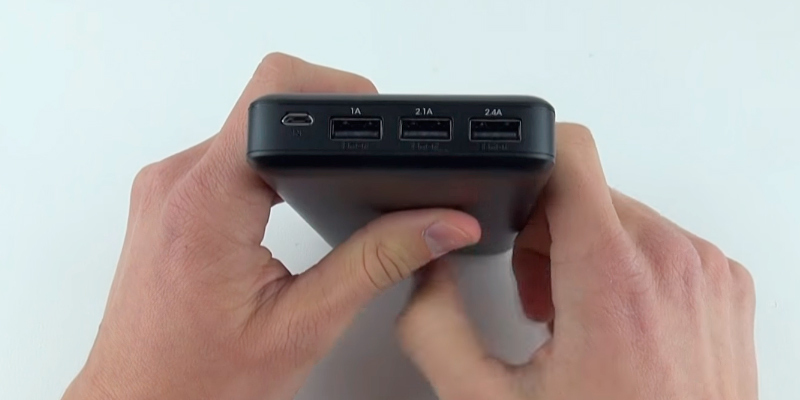 In the case you need to charge more than one device, you would wish to have extra ports. The availability of additional features like a flashlight will make the device exploitation more diverse, and various LED indicators will show you the remaining power capacity. Also, some Power Banks have additional adapters that can be used to charge a laptop. 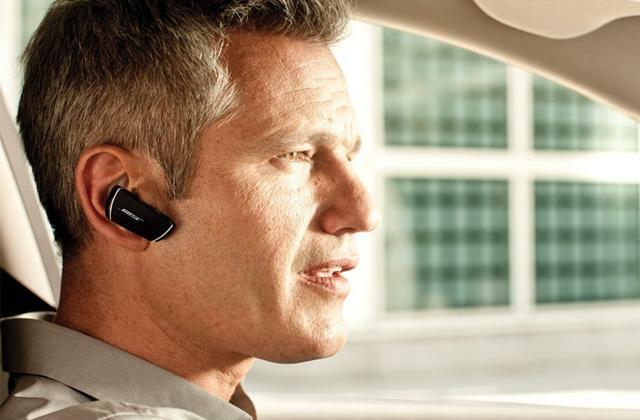 These features can be necessary, especially if you travel a lot. The Design is really important as well. You will use the power bank a lot, so it should look good and be made of high-quality materials. 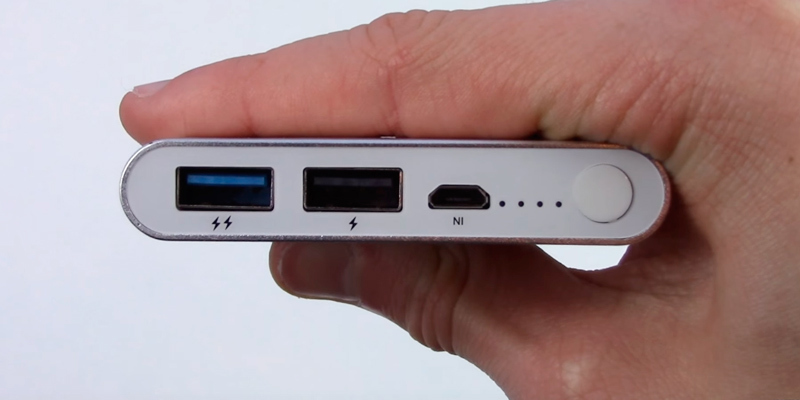 Aluminium power banks look great and they are really nice to the touch. Needless to say that aluminium devices are more durable. You can even drop it and it will be safe. 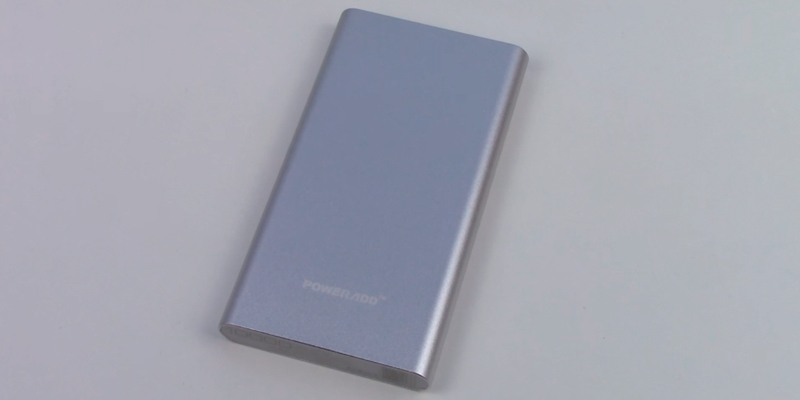 Plastic power banks, at the same time, are cheaper and lighter. 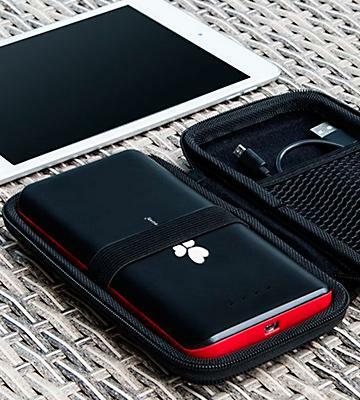 As we mentioned before, the power banks become bulkier and heavier when they have more capacity, so if you need a power bank you can put into a pocket, you will probably have the capacity of 15000 mAh at most. 1. How to Choose the Best Portable Charger, TripCase. April 2, 2016. 2. Wendy How to choose power bank for your phone and tablet? EasyAcc. June 16, 2016. 3. Adam Molina How to Choose the Best Battery Pack for Your Everyday Carry, Everyday Carry. January 21, 2016. 4. Marie Brewis Best power bank, PC Advisor. November 8, 2016. 5. 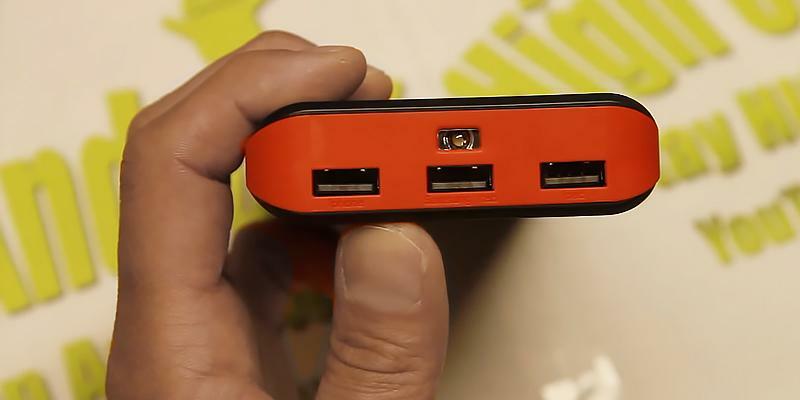 Rodski PowerBanks "How it Works", Instructables. 6. hanzoro5 Power Bank Buying Guide, eBay. August 15, 2013. 7. 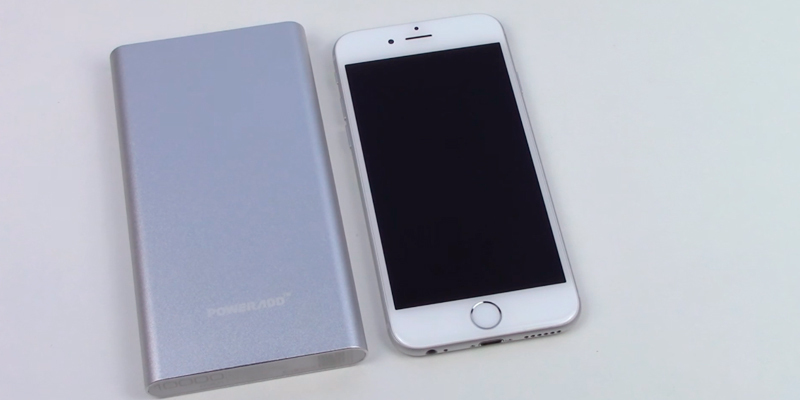 Nick T. Here's why power banks aren't as big as they seem to be, phoneArena. March 15, 2015. 8. Battery charger, Wikipedia. November 18, 2016. 9. Carlos Vega How to make your smartphone battery last longer, Digital Trends. November 19, 2016. 10. How to Make Your Cell Phone Battery Last Longer, wikiHow.